Lee Filters have updated their venerable filter holder for the Lee100 system – the maker’s main filter system for small- and medium- format cameras. The new filter holder has been redesigned using lightweight, composite materials, and filter guide blocks clip onto the filter holder, so you no longer have to unscrew them when reorienting or when adding more guides to allow additional filters to inserted. There’s also a new locking system. 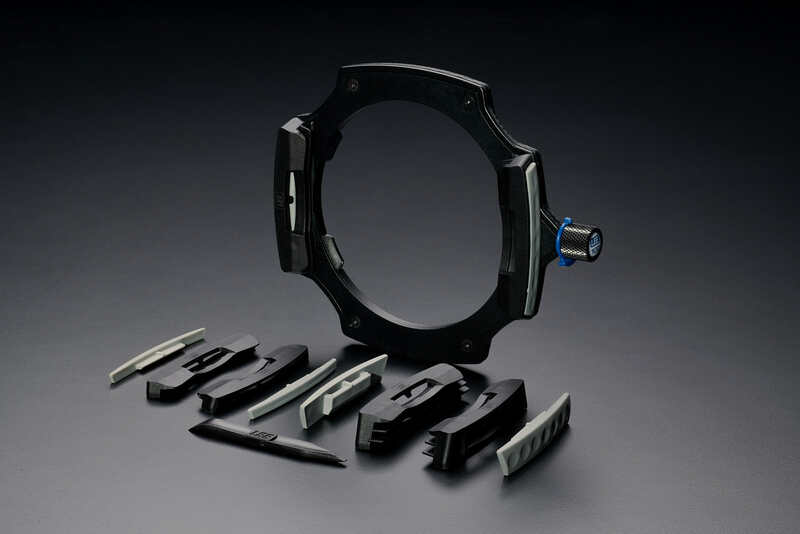 Like its predecessor, the locking system allows simple unimpeded rotation of the filter holder around the filter ring but a new twist-lock option allows additional locking to prevent accidental movement of the filter holder and of course any filters in place. In addition to the new filter holder, there’s a redesigned polariser filter. The new design removes the requirement for attaching an additional ring found on the previous version that was fiddly to achieve in the field. Lee Filters have silently updated the filter holder over the years and my own one now, which is around 15 years old looks quite old fashioned (and no less useful for that), but this is the first major update to the holder I can recall. It looks very modern and the new ring locking option is a small and useful option, especially when stacking filters using a second filter holder. As far as I’m aware the dual filter holder option is a unique feature which I presume hasn’t been lost. However, one feature that I would like to have seen been improved and hasn’t, as far as I can tell without using it, is the fitting of the circular polariser in front of the square filters. While the new design is welcome, as the polariser now clips onto the blocks instead using tiny screws – on the older filter holder, the polariser sits so far forward it tends to vignette even with modest wide-angles. This would have been the perfect opportunity to address this though admittedly, it would still need to fit in-front of the ND Stoppers which require a light-tight fit to the filter holder. That said, although the polariser clearly sits on the filter guide blocks the likelihood of vignetting may have been reduced. I have asked to review one and hope to post samples in the not too distant future. BIRMINGHAM, UK (16 March, 2019) – Setting the standard in filter holders for the past 25 years , LEE Filters announces a new filter system that takes the original design and elevates it to another level. With input from photographers, the LEE100 filter system is adaptable, intuitive and modular, making it a game changer in the field. The LEE100 is available now from the LEE Filters dealer network and on display at stand G81 at The Photography Show, running March 16-19. Precision engineered from injection-moulded composite materials, the LEE100 holder is rigid and durable, while remaining lightweight enough that it will never be a burden to add to a camera bag. 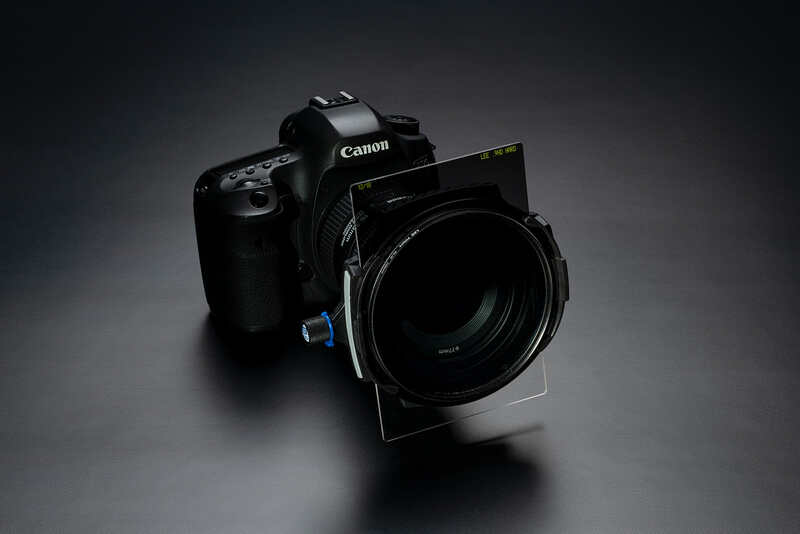 Crucially, it is compatible with all existing LEE 100mm filters and adaptor rings. .Also new are the modular filter-guide blocks, which come in one, two and three-slot configurations. Their simplified design means they simply snap on to the holder and remain securely in place until the photographer is ready to remove them. The new tapered profile gives improved resistance when positioning filters. Compatible with many of today’s ultra-wide angle lenses, the LEE100 system can be used with up to three slot-in filters without the risk of vignetting. Slim and light, yet highly robust, and with an improved optical performance, the LEE100 Polariser is easy to use and quick to attach. It simply snaps on to the front of the filter-guide block, where it is firmly secured until ready to be removed again. Constructed using a lightweight, high-transmission polariser glass, the LEE100 Polariser features a subtle warm tone to help intensify natural colours. It can be used in combination with LEE’s 100mm filter range, and when clipped on to the two-slot filter-guide block, has the same wide-angle capabilities as the previous filter holder. Existing LEE Filters polarisers can be attached to the new holder via a clip-on 105mm polariser ring. The polariser is simply screwed into the ring and clipped on to the LEE100 filter holder, and can be used either on its own or in combination with other filters. Brand-new premium packaging completes the look of the LEE100 system.